It looks like there isn’t any major street art festival or graffiti related event that can pass without him leaving the mark on the walls. 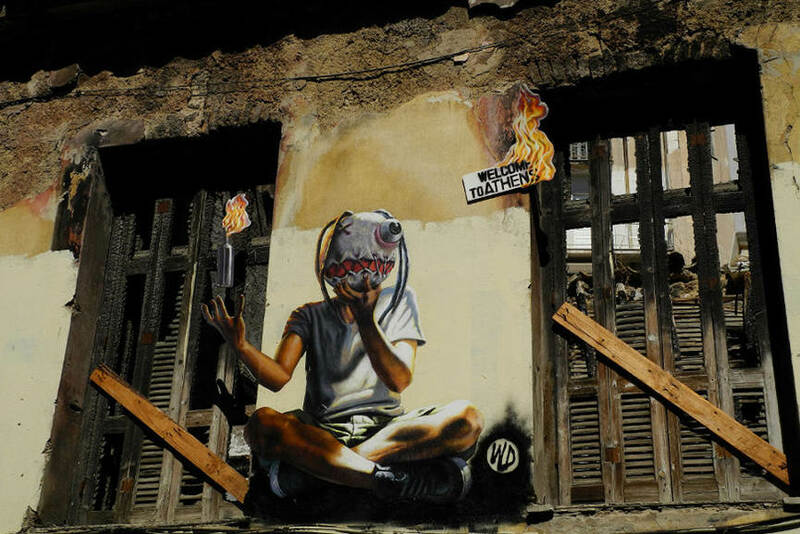 He is one of the most prolific artists of the Greek street art scene and he is the current holder of our Artist of the Week title. We present to you – WD aka Wild Drawing. 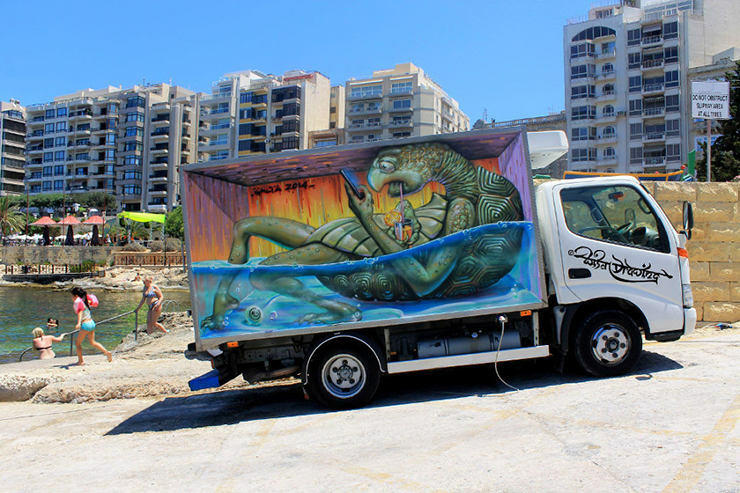 Born in Bali and currently living and working in Athens, this artist has been praised for his highly original approach to street art practices. 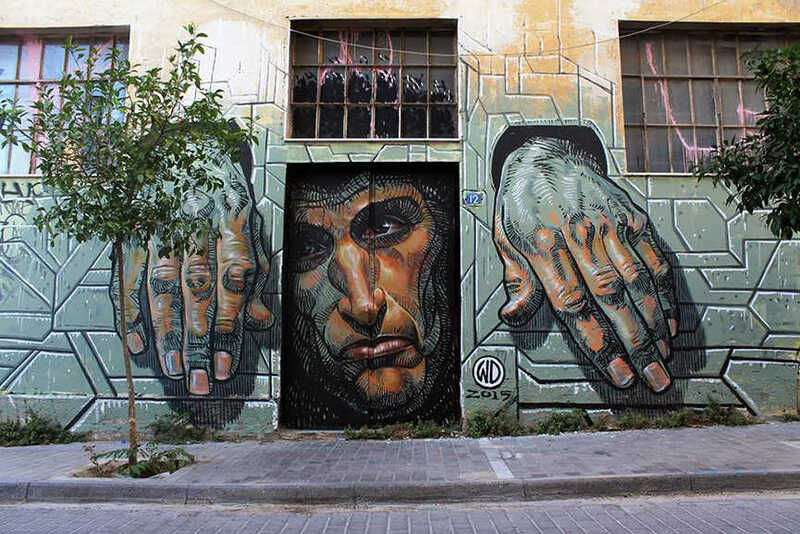 WD is one of the most versatile artists currently working on the streets of Greece, and he is widely accepted by the international audience as well. 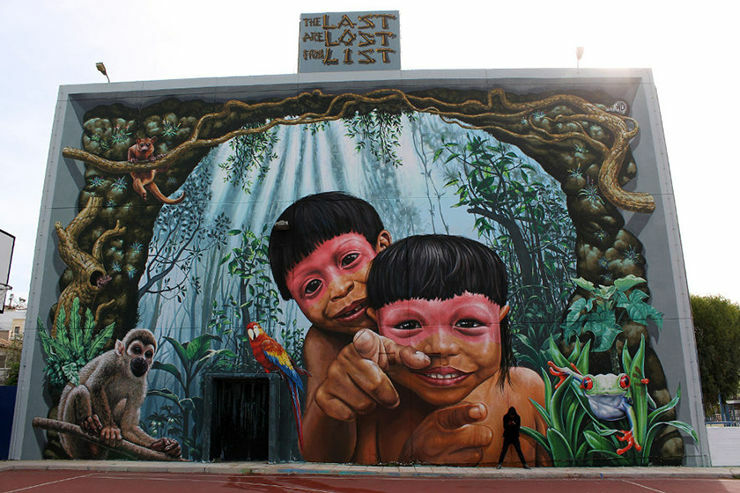 His photo-realistic mural projects, scattered all around the world, bring powerful political messages as the artist is never afraid to speak his mind and express his opinions about the current social issues and often neglected social problems. 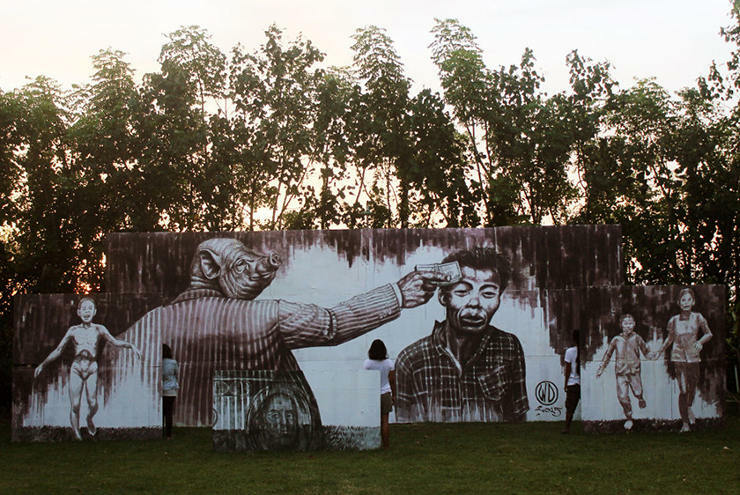 WD aka Wild Drawing has been working on the streets for fifteen years now, raising awareness and political consciences in the communities around the world from his home country of Indonesia to many European capitals. Even though he has the academic degrees in Fine Arts and Applied Arts, WD feels especially comfortable while working in the streets. He never stopped working in the studio, but most of his works today can be found outdoors. In a way, WD prefers this public medium, as his work is often politically charged and by creating in the streets he is spreading his messages to a wider audience. His style is rooted in photorealism with a strong focus on details and strongly influenced by comic and graphic novel style of drawing. 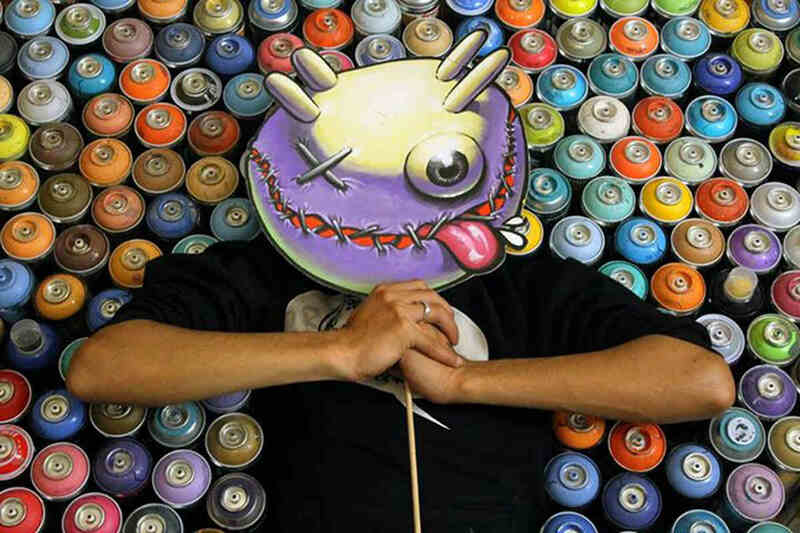 Over the years, he was trying out various techniques in numerous art projects ranging from paste-ups and stencils to installations. 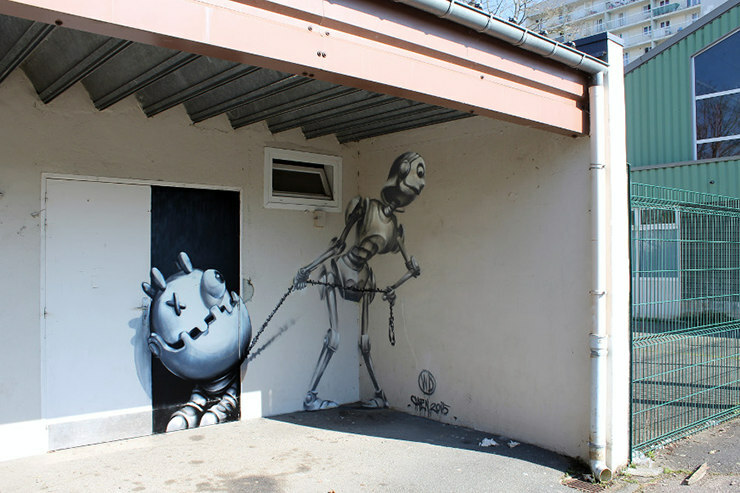 Nowadays, his work is mostly focused on large mural projects, done in a combined roller and spray paint technique well integrated into their surroundings. 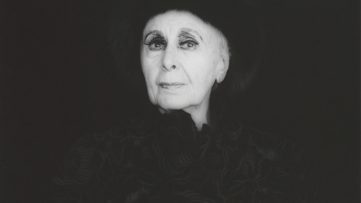 The motifs found on most of them are inspired by his critique of consumerist lifestyles, social and political phenomena. WD is regularly featured in out Street Update section, but for those who might have missed our recent updates we’ll remind you of some of the best works he created in the last couple of weeks. 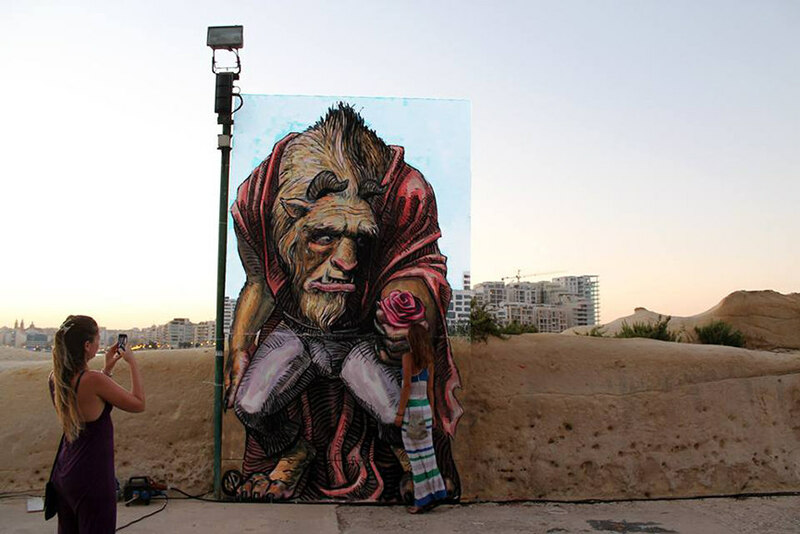 Wild Drawing was one of the participants of the Malta Street Art Festival where he painted two astonishing pieces. Both of them are based on the legendary film characters who were realistically portrayed although in altered circumstances. 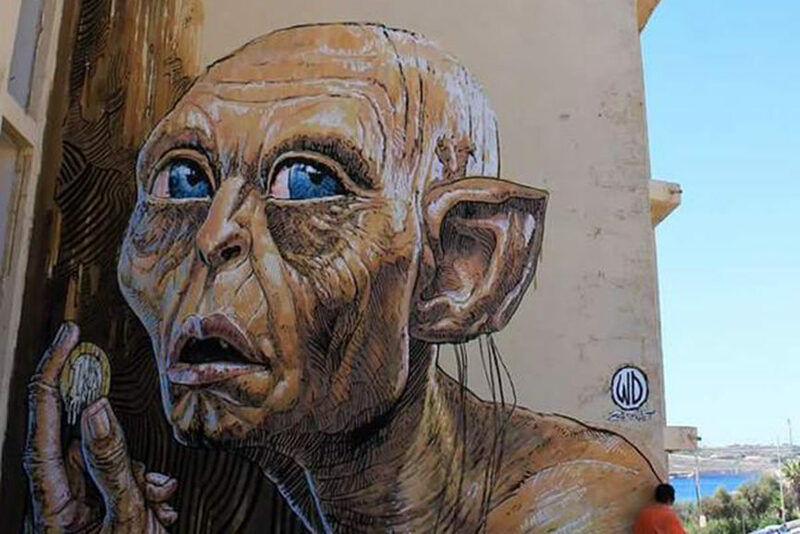 His Lord of the Ring inspired mural brings out the face of Gollum, gripping his Precious, but instead of the expected ring his precious seems to be the melted euro coin, allusion to the Eurozone crisis often addressed in WD’s work. The other artwork is one of the Beast, from the Disney animated movie. And it seems that there is no rest for WD. As soon as he was back from Malta and on the streets of Athens, he did another piece addressing the issue of the financial debt. 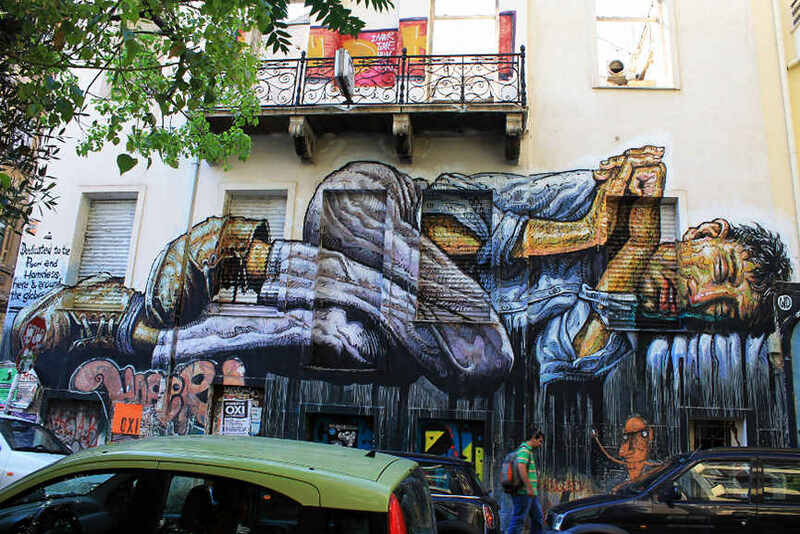 His large mural was left on one of the walls of the capital as a message of hope for all Greek citizens currently struggling with the hardships of the economy in ruins. 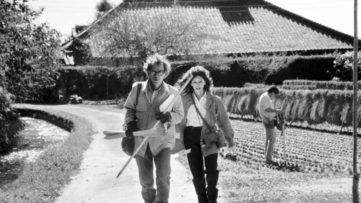 Where will WD go next is to be seen, but wherever he goes make sure that he will continue to provoke thoughts and raise awareness about the marginalized and neglected social problems with his astonishing works of art. 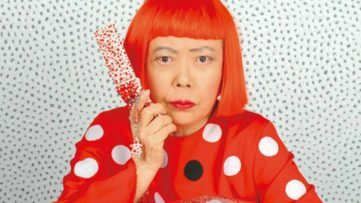 Maybe one of your favorite artists will be our favorite next week, so sign up for My Widewalls for FREE and find out!